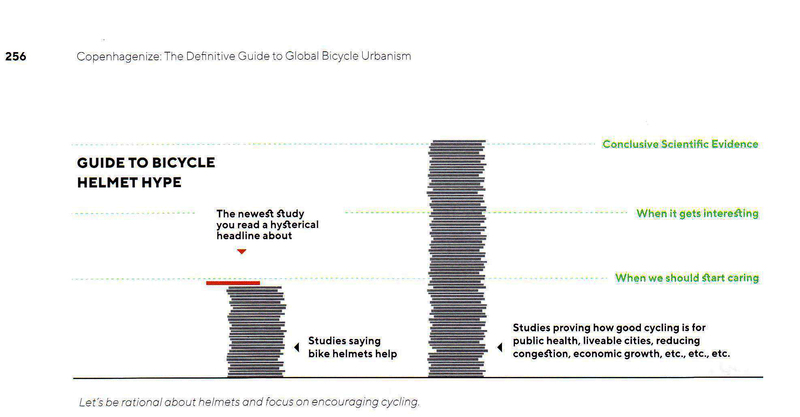 Home › cycleways › Should wearing cycle helmets be compulsory? No. Should wearing cycle helmets be compulsory? No. The below diagram from Copenhagenize illustrates the balance of expert opinion. A cycle helmet will save your life in a relatively low proportion of cycle accidents. So I wear one, except when the weather is too hot. When they made wearing helmets compulsory for Australian cyclists the use of bicycles for commuting fell sharply. This leads to obesity and the health problems associated with a lack of exercise. Therefore not making helmets compulsory is good for health. QED. Forcing cyclists to dress like road warriors might give them a false sense of security and might make them think and act like road warriors. Not good. Cycle helmets give cyclists a false sense of security, as well as causing overheating and reducing their awareness of potential hazards. 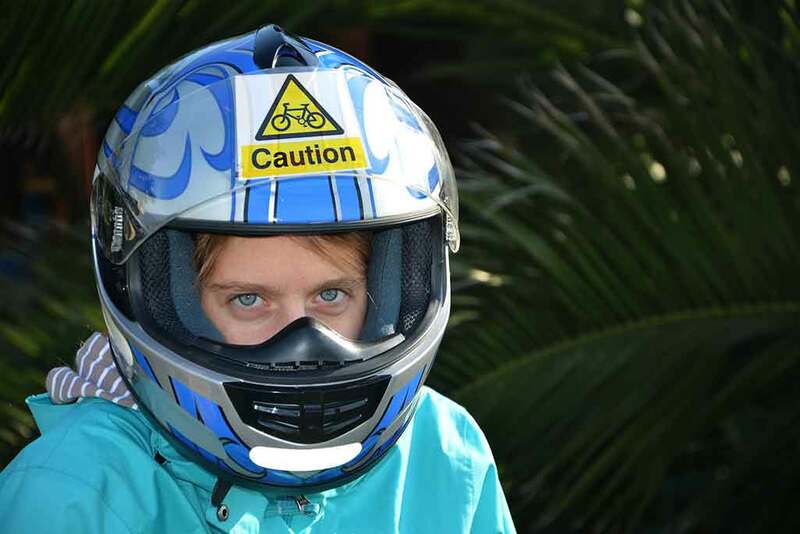 This kind of helmet was designed for high speed motor cycling. Few Dutch cyclists wear helmets and Holland has half the number of cycling deaths/km as the UK. QED.